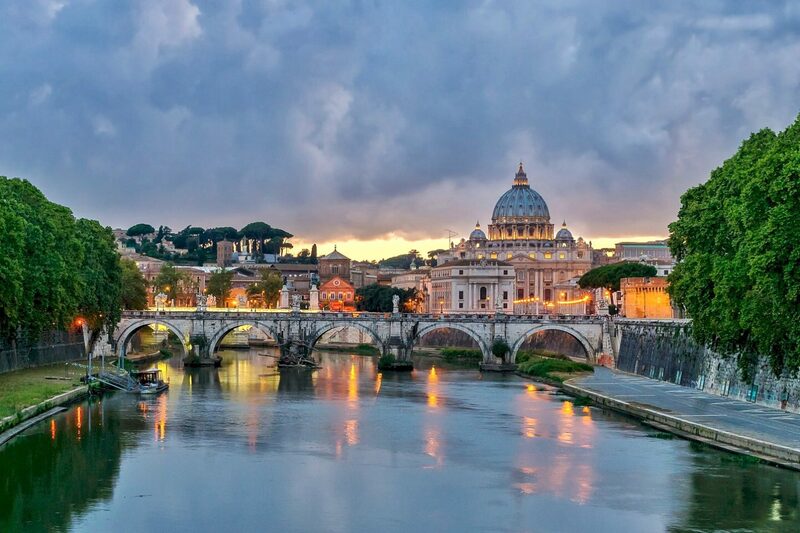 The votes are in, and I’m going to Rome! 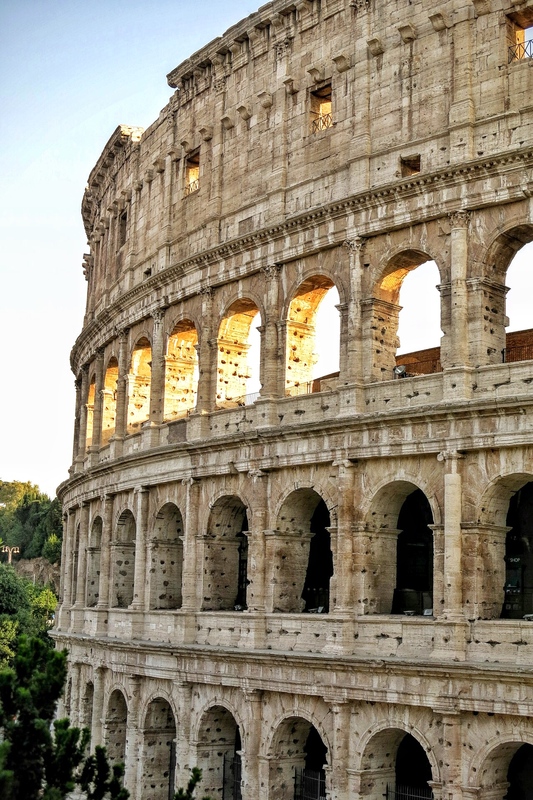 With so many cities, resorts and landmarks in the world that I am dying to see, booking trips can become quite the challenge. Do we go to that quaint village we’ve been wanting to visit for a while? Or shall we go for some winter sunshine? Maybe we should go to that resort where they hold an annual festival? My boyfriend and I recently managed to whittle it down and decided we wanted a city break. But the question still stood: which city?! And that’s where you guys came in. 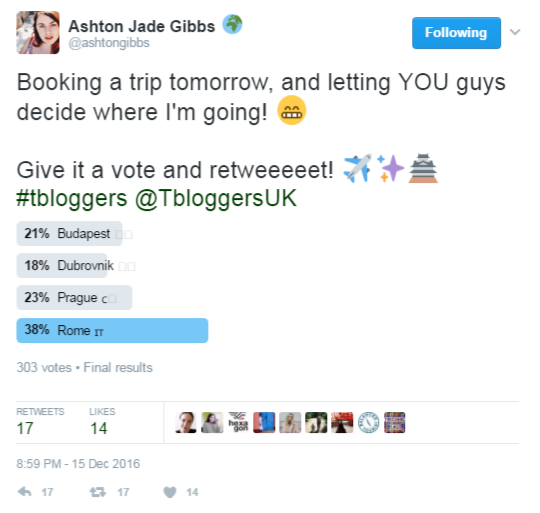 Budapest took the early lead, with Prague slowly taking over, but Rome came and snatched it at the end with 38% of the vote. I’ve been wanting to visit Rome for years whilst my boyfriend has never actually been that keen. But ha, I win. The poll was so much fun, and we’ve decided that it’s going to be an ongoing thing. You guys can keep deciding where we go and what we do. Next time we want a day out but can’t decide where, we’ll ask you. When we’re booking a summer destination, we’ll get you guys to pick a hotel for us. Maybe I should create a hashtag for it. Throw ideas at me! Did you vote in my poll? 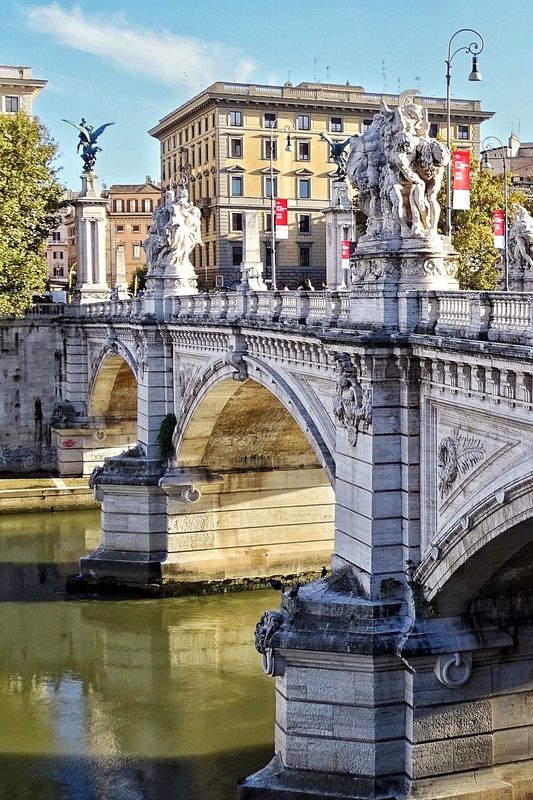 Have you visited Rome before?